The Preamble is the cornerstone of what America believes and the foundation of our laws and freedoms. It's important to know these words and understand what they mean as an individual and as a country. Students will learn what the words of the Preamble mean and memorize them. This will foster a deeper appreciation for our founding fathers and what America stands for. Student will create vanity license plates from paper and use a misspelled short condensed version to form the preamble. "Born in North Carolina. 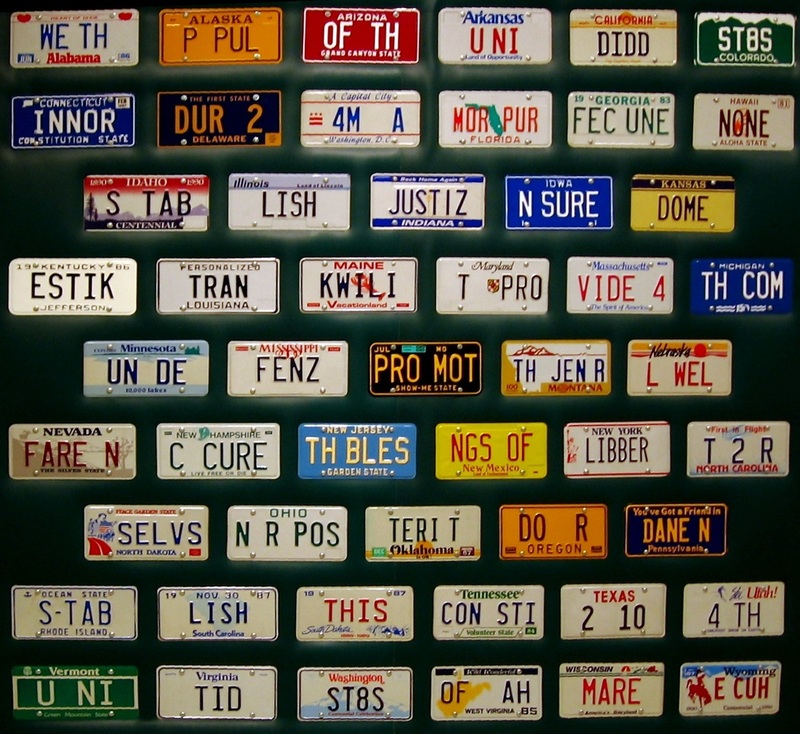 Best known as a conceptual artist who celebrated the bicentennial of the U.S. Constitution by requesting personalized license plates from all fifty states to form its preamble." - Nora Panzer, ed. Celebrate America in Poetry and Art (New York and Washington, D.C.: Hyperion Paperbacks for Children in association with the National Museum of American Art, Smithsonian Institution, 1994). The finished project will look something similar to the picture below. Students today are using Modern Day License Plates which requires a bit more artistic ability for some states.